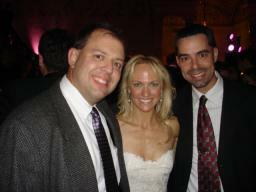 Fritz and Rick are pictured here with Amy, on September 15, 2007 in New York City at the renowned Metropolitan Club. 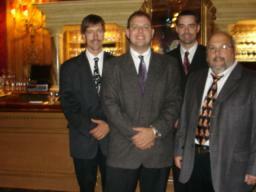 Members of FPB are shown here before their set at the Metropolitan Club in New York City on September 15th. 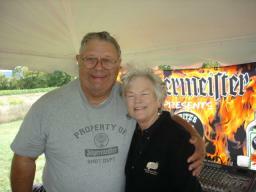 After FPB wrapped up their gig at the Anthony Road Wine Company in Penn Yan, NY on September 15, 2007, Fred took a moment for a photo opportunity with Ann. It was a colder than usual day on September 15th in Penn Yan, and Frank bundled up a bit. 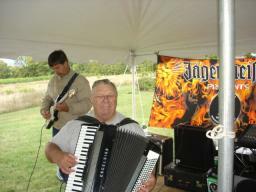 But, as you can see, Fred was comfy in his FPB/Jager t-shirt. Fritz and Rick are shown here with little Adam, as he jammed along with FPB on many tunes in Penn Yan, NY on September 15th. 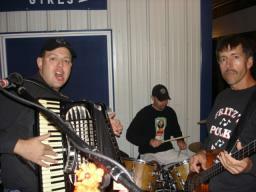 FPB rips through a tune on September 15th in Penn Yan, NY at the Anthony Road Wine Company. 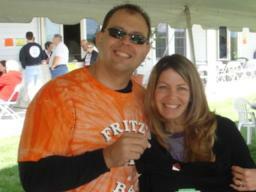 Fritz is pictured here with a new Jager friend on Septemteber 15, 2007 in Penn Yan, NY at the Anthony Road Wine Company. 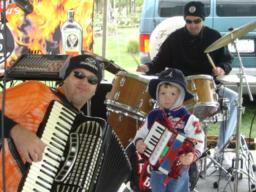 Fred and Gabe are pictured here at the Anthony Road Wine Company on September 15th before FPB's first set of the day. 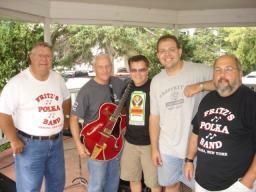 The guys in FPB are pictured with some of their California friends on September 14th at the West Leyden Pavilion. 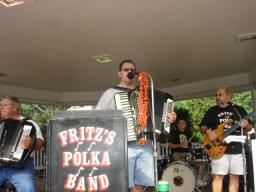 Fritz, Rick, and Frank are shown in action during FPB's gig on September 14, 2007 in West Leyden, NY. 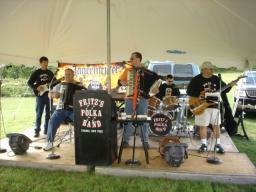 Tom, Fred, and Fritz are shown here with FPB Fan Club Member, Ed Goetz, as he sings lead vocals on "Your Cheating Heart" at the 2007 Salmon River Festival in Pulaski, NY. 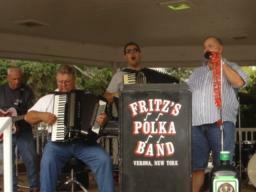 Fred, Fritz, George, and Gabe crank out a tune on September 8, 2007 in Pulaski, NY. 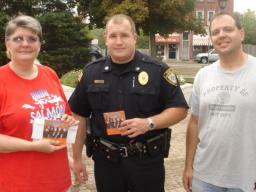 Members of FPB are pictured here just before it was time to "fire up" at the 2007 Salmon River Festival. 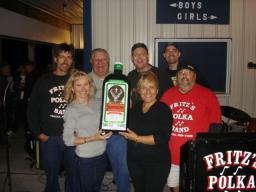 Fritz is shown here in Pulaski, NY on September 8th with FPB Fan Club Members, Dorothy (C) and Jean (R). 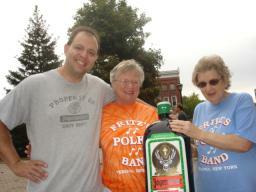 Dorothy and Jean agree that it'd be great if you could get a real bottle of Jagermeister that big! 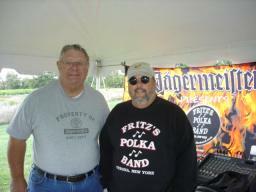 Fritz is pictured here with a couple of Jager pals, Chris (from the Salmon River Festival Committee) and Jim (one of Pulaski's finest), prior to FPB's set at the Salmon River Festival in Pulaski, NY on September 8th.